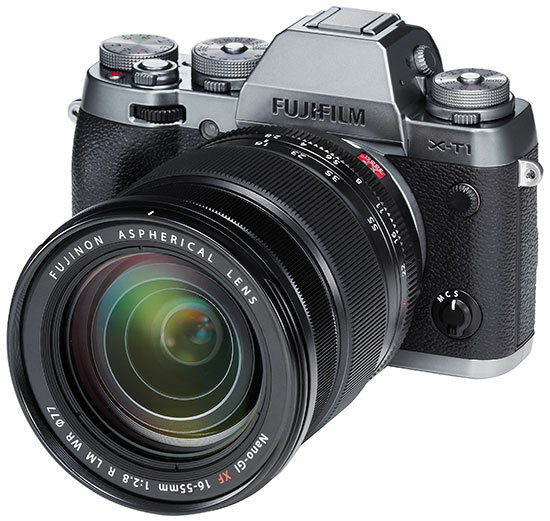 Valhalla, N.Y., January 6, 2015 – FUJIFILM North America Corporation today announced the new FUJINON XF16-55mmF2.8 R LM WR, a weather-resistant standard zoom lens with a 24-84mm equivalent that offers users the classic zoom range with a constant F2.8 in the market today. The XF16-55mmF2.8 R LM WR uses 14 sealing points for a durable, weather-resistant and dust-proof design that make it the perfect companion for photojournalists who do not want to compromising when weather conditions are the most challenging. Whether shooting wide angle landscapes or medium-telephoto portraits, the XF16-55mmF2.8 R LM WR delivers ideal image results from edge to edge. The XF16-55mmF2.8 R LM WR delivers on its promise of extremely high resolution and stunning bokeh for professional-grade results when paired with the FUJIFILM X-T1, or any X-Series CSC. The XF16-55mmF2.8 R LM WR also uses the newly-developed Nano-GI (Gradient Index) coating technology to effectively inhibit ghosting and flare, producing clear images from edge-to-edge. The XF16-55mmF2.8 R LM WR uses a light weight Internal Focusing System and a Twin Linear Motor for high-speed autofocus (AF) and whisper quiet AF as fast as 0.06 seconds. When combined with the near-silent shutter sound of the FUJIFILM X-T1, photos can be taken unnoticed in quiet and sensitive locations. The award-winning FUJIFILM X-T1 is a weather-resistant premium interchangeable lens camera with a large OLED electronic viewfinder (EVF) that delivers a near-instant image preview. It has the latest generation 16.3 Megapixel APS-C X-Trans CMOS II sensor, and the segment’s fastest autofocus of 0.10 seconds that allows photographers to capture amazing, high resolution images anywhere. 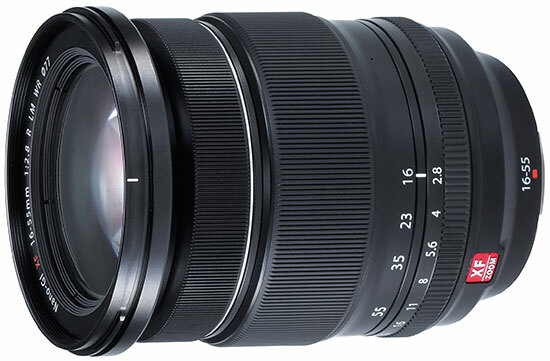 The FUJINON XF16-55mmF2.8 R LM WR will be available in February 2015 for USD $1,199.95 and CAD $1,299.95. This entry was posted in Fuji and tagged CES 2015. Bookmark the permalink. Trackbacks are closed, but you can post a comment.